"I never dreamt of being prime minister. But I liked public policy." Maxime Bernier is unloading his baggage. “I was separatist, I must have voted yes. Write I voted ‘yes,’ I have no problems with that,” he tells HuffPost Canada. He supported sovereigntists during the 1995 Quebec referendum on independence. Now, he wants to lead a national party and be Canada’s next prime minister. Admitting that he may have voted to split the country apart is perhaps Bernier’s latest display that he is the candid leader that some Canadians crave. Among the crowded field of 13 Conservative leadership candidates, the Quebec MP from Beauce is already notorious because of a scandal that rocked his second year in federal politics and got him dumped from cabinet. Martin Masse, Bernier’s closest adviser, compares supporting sovereignty to being a communist in university and then changing your mind. “Obviously, I can understand that some people in English Canada will believe that we are some kind of traitors because we do not believe all our whole life in Canada, but … we just grew up in an environment where it was normal to be in favour of separation,” he says. Over tea, Bernier tells HuffPost those controversies — new and old — are behind him. Except, in some ways, it is. Canadians who peripherally follow politics might best remember the 54-year-old as the debonaire Quebecer who brought Couillard, wearing a low-cut dress, to his swearing-in as foreign affairs minister in August 2007. Less than a year later, Couillard’s ties to biker gangs had been revealed and she told the press Bernier had been careless with confidential briefing notes. In Bernier’s telling of his story, he might not be running for the Conservative leadership were it not for this incident. Had he not spent time in the political doghouse and been free to roam across Canada preaching the values of freedom and a laissez-faire state, he might not have discovered an audience that liked his authentic voice and his message of “no compromises” on conservative principles. He might not have been emboldened to run for the leadership. In Couillard’s telling of Bernier's story, offered in scintillating detail in her 2008 book My Story, she says Bernier confided that he believed then-prime minister Stephen Harper would not last a full term in office and that he envisaged himself running to replace him. And a 2007 piece that stands out: “Maxime Bernier, Heir Apparent to Stephen Harper?” In it, La Presse journalist Joël-Denis Bellavance argued that Harper’s dream of transforming the Conservatives into the natural governing party of the 21st century would be assured only if the alliance between Quebec nationalists and Western conservatives remained — and could be best-maintained if the next leader came from Quebec. The article quoted several of Bernier’s caucus colleagues expressing surprise and admiration that a Quebecer is as unflinching in his support for free-market ideas. “MPs have already let him know that they would support him if he decided one day to succeed Stephen Harper,” Bellavance wrote. Now, 10 years later, Bernier finds himself vying to replace Harper, but with little caucus support. Only seven MPs have endorsed him. Still, if public opinion surveys are correct, Bernier is headed to the helm of the party. The Quebec MP was already a top-tier candidate when his primary rival, businessman and reality television personality Kevin O’Leary dropped out of the contest last month and endorsed him. The two had viciously gone after each other. O’Leary’s camp alleged Bernier’s campaign fraudulently purchased thousands of memberships. Bernier declared war and in turn, alleged that O’Leary’s camp was involved in illegal sign-ups. An investigation found improprieties and 2,729 members were removed from party rolls. No particular campaign was blamed, however, since the memberships were purchased anonymously from the party’s website. Two weeks before the bombshell announcement, O’Leary called Bernier, asking him to withdraw from the race. “If you resign, you’ll be my number 2. With you, I can win in Quebec, you’ll be my lieutenant,” Bernier recalls. He says he laughed and said, nope. After that call, Bernier says he suspected O’Leary would quit. Two days before the final candidates’ debate, O’Leary sent him a text message asking if the two could chat. When they met, just before midnight in a private condominium downtown, O’Leary offered to endorse Bernier. O’Leary and Bernier are now all smiles. They are campaigning together, with Bernier musing he plans to encourage the TV celebrity to run for him in 2019. Bernier’s entrance into politics is owed in no small part to his father — much as Prime Minister Justin Trudeau can thank his dad for helping pave the way. The Conservatives originally approached Gilles Bernier to return to politics in 2005. He was a well-known radio announcer who won successive elections during Brian Mulroney’s tenure in 1984 and 1988. In 1993, he won again as an independent after then-Tory leader Kim Campbell refused to let him run under the Progressive Conservative banner owing to allegations of fraud and breach of trust. In 1990, Gilles Bernier and former MP Richard Grisé were charged by the RCMP and accused of hiring each other's children — Maxime and his brother Gilles Jr., and Grisé’s son, Bruno — to perform fictitious work in their offices. House of Commons rules forbid politicians from hiring their spouses or children but not their colleagues’ family members. The case dragged in court for years, as Bernier’s father tried to have the charges quashed. In 1994, Ontario judge Maria Linhares de Sousa ruled during a preliminary hearing that it was “clear” a fraud had taken place, but she eventually acquitted Gilles Bernier. According to news reports at the time, she said she believed he had actually participated in the offences but felt that the Crown had presented no evidence that would lead a jury to convict him. Grisé, however, pleaded guilty to two counts of breach of trust and was fined $5,000. Maxime Bernier and his father, Gilles. Gilles Bernier’s constituents didn’t seem to care about the allegations. Neither did Liberal prime minister Jean Chrétien, who decided about 1997 that he wanted to win the seat in Beauce but couldn’t do it if the popular MP were still around. So Chrétien made Gilles an offer he couldn’t refuse: an ambassadorship to sunny, albeit chaotic, Haiti. The Reform Party complained that Gilles Bernier lacked the necessary experience — at the time, his most impressive responsibility had been a two-year stint as chair of the official languages committee — but the appointment went through and a Liberal MP was elected in Beauce that June. When Harper approached Gilles to run for office again, four years after the end of his ambassadorship, the 70-year-old was flattered, Bernier says, but suggested that the new Conservative leader speak to his son instead. 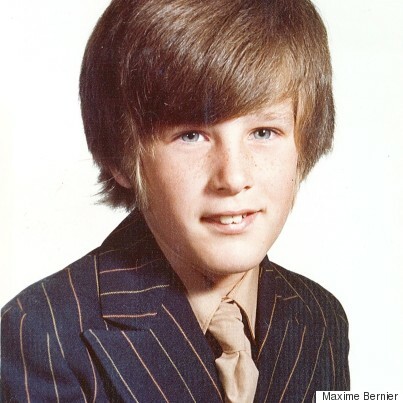 Maxime Bernier at age 8. Maxime, who was born on Jan. 18, 1963, in Saint-Georges-de-Beauce, the capital of the region, had not demonstrated a keen interest in party politics. As a youngster, he talked of becoming an entrepreneur. He is the second oldest of Gilles’s and Doris’ four children. The eldest, Brigitte, is two years older than Bernier. His sister, Caroline, and brother, Gilles Jr., followed. 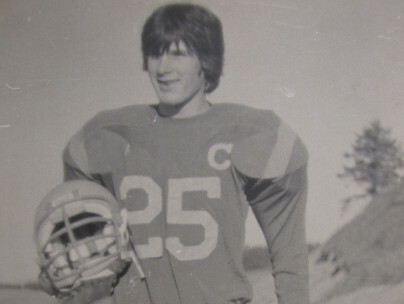 Maxime Bernier's high school football team won a provincial championship. “I was very bad in English,” he admits. “I still need to work on it,” he adds, laughing. At 18, he headed to the Université du Québec à Montréal to pursue a bachelor's degree in administration, with a concentration in economics. After graduating in 1985, he entered the University of Ottawa to study civil law. It was there, during the 1987-88 free trade talks with the United States, that Bernier first caught the political bug. He was living with his father, sharing an apartment with the then-first term MP. Gilles was an involved dad during his childhood, driving him to hockey and football, but now they developed a closer relationship. As the free trade debate exploded on campus and on the campaign trail, Bernier read the text of the deal, memorized all the clauses, and drafted his father’s election speeches defending the pact. “I never dreamt of being a member of Parliament. I never dreamt of being prime minister. But I liked public policy,” he says. 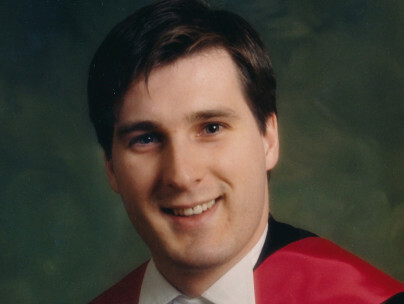 Maxime Bernier completed his law degree at the University of Ottawa. In 1990, Bernier was called to the Quebec bar and he began a two-year stint working for the Clarkson Tétreault (now McCarthy Tétrault) law firm in Montreal, where he had been a summer student. While he articled, he realized he wanted to pursue commercial law, but that section functioned mostly in English and Bernier felt ill-equipped to compete with fully bilingual McGill graduates. Instead, Bernier worked closely with the labour law group, which comprised mostly francophones. “I didn’t like it,” he says about his work at the firm, still not touching the Earl Grey tea he ordered when we first sat down at the Farmteam Cookhouse and Cellar, a restaurant two blocks from his Hill office. (They didn’t have his first choice of peppermint). Bernier’s sensitivity about his English skills is evident when he notes proudly that his daughters speak with no accent. (They attended private English school in Montreal, an allowance under Quebec's language laws because his ex-wife’s father studied in English prior to the adoption of Bill 101). Bernier is still close to his former wife, Caroline Chauvin. They met at an art opening. She was there with her girlfriends and he was attending with a group of young lawyers. “The boys” took “the girls” out for drinks, he recalls. Bernier and Chauvin were married in 1991 in a Roman Catholic church ceremony. She is the mother of his two daughters, Charlotte, 18, and Megan, 15. The marriage didn’t work out, and their divorce was finalized on Sept. 14, 2005 — their wedding anniversary. Maxime Bernier and his current partner Catherine Letarte. But his heart did not lie with law. Bernier left the law firm to become the director of commercial accounts at a National Bank branch in Montreal’s South Shore in 1992, helping small companies expand their businesses. Eventually, he became the branch director. In 1996, a friend from Bernier’s articling days approached him about a new gig. Daniel Audet was the chief of staff for Bernard Landry, the deputy leader of the Parti Québécois and new provincial finance minister. Audet wondered if Bernier would be interested in working in the minister’s office on legislative reforms to the financial sector. “I followed politics. I liked politics, and I knew Bernard Landry because I had met him during the 1988 debate on free trade,” he says. Bernier had actually invited Landry to the University of Ottawa to speak at a conference. “At the time, I was a nationalist,” Bernier says, listing the sovereigntist friends he hung out with on campus. Bernier wants me to use the labels “nationalist” or “very nationalist.” He thinks “sovereigntist” or “separatist” might scare anglophone Conservatives. But Landry has already outed Bernier as a sovereigntist. In a 2010 interview, the former premier of Quebec said that in order to work in his office staff members had to be separatists. “That’s what [Bernier] told me he was, and I believed it, and I still believe it,” he told The Canadian Press. Bernier doesn’t deny his past leanings. I asked him how he voted during the 1995 referendum. He changes the topic. I bring it back. “There have only been two,” I say. “No, that’s true. There weren’t any after,” he says. “So ... you voted yes or no?” I ask. I tell him I don’t want to write it if it’s not true. He tells me he doesn’t remember. (In 2014, Bernier told HuffPost he flirted with the PQ but voted “no” during the referendum). Bernier notes that he “really liked working with Bernard Landry.” He was young, and the finance minister gave him a lot of latitude. He worked closely with bureaucrats to push forward bills in the National Assembly that changed insurance laws and brought reforms to the Desjardins co-operative movement. Just before the 1998 election, Bernier was offered a job as director of corporate and international relations for the Quebec Securities Commission. He spent three years there and then was fired, after clashing with a new president. “I was always challenging her. The positions she was taking were not the positions I thought we should be taking,” he says. After a while, she brought him in his office and told him, that’s enough, thank you and goodbye. “That was a real firing,” he says. He was also dismissed from his next position as vice-president of corporate affairs and communications at Standard Life, the former insurance giant. The circumstances were different. Bernier describes enjoying working there but says that when his boss retired, a new president offered him a VP job he wasn’t interested in. Bernier doesn’t recall the details but he says that despite the job’s having the same salary and similar title, he felt he was being demoted. “I was arrogant and I told him, ‘If you offer me that, I would rather take a package.’” Two weeks later, Bernier was offered a package. In 2004, while he was still at Standard Life, Bernier had joined the board of the Montreal Economic Institute, a right-wing think tank in Quebec. As an associate researcher, he wrote opinion pieces arguing that people who choose to work more hours should not be penalized and forced to pay more taxes. His pieces were loosely based on a book published in 2003 titled: For a flat tax. Bernier wrote it after watching Mario Dumont, the leader of the upstart right-wing Action Démocratique du Québec party, call for a flat tax and more private choice in health care. Bernier’s timing wasn’t great. About three weeks after publishing his $9 book, Dumont changed his position and dropped his call for a single tax rate. “It wasn’t a success,” Bernier says, estimating he sold fewer than 1,000 copies. Maxime Bernier and his closest adviser, Martin Masse. At the institute, Bernier met Masse. He would become the MP’s most trusted adviser, helping him at in his first cabinet job at industry and later charting his leadership campaign. In the spring of 2005, as the Conservatives in Ottawa were plotting to defeat Liberal prime minister Paul Martin’s minority government, Bernier met Harper for the first time. It was March or maybe April, and Harper had asked institute president Michel Kelly-Gagnon to bring Bernier to dinner in a private room at Montreal’s University Club. “He knew Maxime's father, but not Maxime, and asked me to facilitate the introduction,” Kelly-Gagnon recalls. The conversation was geared towards public policy issues and philosophy. It was lively, and Bernier and Harper seem to connect well. Bernier says the Conservative leader asked him for his views on the Quebec platform. “I told him, at that time, you know, the right platform would be to say to Quebecers that we would lower taxes like all the other Canadians — they are the ones who are paying the most income taxes in North America — and respecting the Constitution,” Bernier recalls. Shortly after that dinner, a Tory organizer tasked with filling the slate of Quebec candidates for the 2005 election called, asking if Bernier would be interested in running. Soon after, Jacques Gourde, then an organizer and now an MP, also phoned. The party was planning for a June campaign. He was also looking for a new beginning. Bernier had just left the Standard Life job, and he and Chauvin had filed for divorce. Bernier returned to Beauce to run for his father’s old seat. But needing a job, he was announced as the executive vice-president of the Montreal Economic Institute that June. Claude Drouin, the Liberal MP who had held the riding since 1997, bowed out of the contest days before the election call. On Jan. 23, 2006, Harper’s Conservatives won the election and Bernier took 67 per cent of the vote in Beauce. Fournier, who ran in the then-Liberal-stronghold of Outremont, came in fourth. Bernier became industry minister. He is particularly proud of his time at the department and likes to quote McGill University Prof. Richard Schultz describing him as the best industry minister on the telecommunications file in the past 30 years. Schultz still believes it. He lauds Bernier’s determination in pushing through a cabinet directive on deregulation in the face of bureaucratic opposition as well as concerns from cabinet colleagues and the Prime Minister’s Office. Deregulation and pro-market decision-making was what Bernier wanted to champion at industry. But certain parts of the job made him uncomfortable. It drove him crazy that big corporations, such as Bombardier, received large government loans. He says he was told by colleagues that the Tories hadn’t campaigned on ending corporate welfare and that party members would have to vote to change Conservative policy. Bernier respected the decision but figured he’d do his part to effect change by publicly listing — “naming and shaming” on the department’s website — the corporations receiving federal cash. It bugged him that repayment schemes, which he says were rarely respected, were also shrouded in secrecy. Another part of the industry job was doling out cash — which, Bernier says, he refused to do. A year and a half into his mandate, Harper reshuffled the deck, moving cabinet ministers where he thought they were best-suited. Gordon O’Connor was demoted from National Defence to Revenue. Peter MacKay, who was foreign affairs minister, moved over to Defence. Bernier was given the much coveted foreign affairs portfolio, and Jim Prentice, widely seen as one of the most capable ministers, replaced him at Industry. "He has earned a new challenge, and I hope and I believe he will represent Canada in a very efficient way on the world scene." Some who were around the cabinet table during Bernier’s days as industry minister say he was weak and unimpressive. Rather than prepare a full package of legislative reforms on telecommunications, Bernier had mustered only a cabinet directive, one person noted. In any case, Harper sent Bernier, who was preoccupied with government spending, over to Foreign Affairs, figuring he’d be useful as the department prepared to sell-off pricey diplomatic real estate. Was Bernier disappointed with the shuffle? What he didn’t like about being at Foreign Affairs was “that at the end of the day, you don’t decide.” The diplomats and the PMO ran the show. Bernier initially earned positive reviews as foreign minister. Several foreign counterparts noted, during a trip to New York for the opening of the United Nations General Assembly, how upbeat and charming he was. Shaking hands, posing for pictures, building relations seemed to come naturally to him. Masse — who was among other Bernier advisers kicked out by PMO when their boss moved to Foreign Affairs — still helped his friend on the side, but he notes that there wasn’t much to do. It was at the August 2007 cabinet shuffle that a smiling Bernier — accompanied by Couillard, a striking brunette with a plunging neckline — started to draw attention in English Canada. Bernier had brought Couillard along on the New York trip, holding hands with her as he told Canadian diplomatic staff how happy and fulfilled he was with her at his side. The relationship lasted officially until December, though the two continued to see each other. A few months later, news that Couillard had ties to Quebec’s notorious biker gangs started to make headlines. The public discovered her former lover was Gilles Giguère, a man closely linked to Hells Angels boss Maurice “Mom” Boucher, who was murdered in 1996. Her ex-husband, Stéphane Sirois, was a member of the Rockers biker gang and later became a police informant. The opposition questioned whether Bernier’s former girlfriend posed a security risk. Harper suggested that Liberal leader Stéphane Dion and Bloc Québéois leader Gilles Duceppe were “gossipy old busybodies” and said his relationship with Couillard was nobody’s business. He laughs. “A little bit? A big one. No, you must admit that. I did a mistake and it was a tough time for me. A departmental report on the whole affair suggests Bernier was alerted by Harper’s then chief of staff Ian Brodie about rumours of Couillard’s biker ties — about two weeks before newspaper reports first emerged. 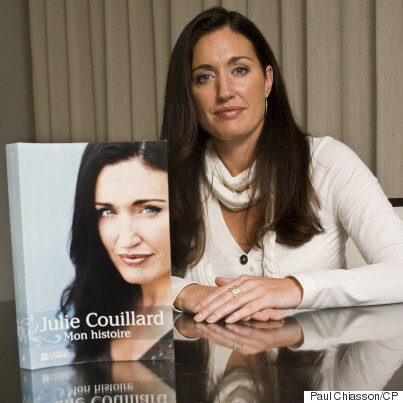 In her book, published during the 2008 election campaign and clearly written to harm him, Couillard says she told Bernier about her past soon after they met. Bernier denies knowing anything about her background. At the time, he stayed quiet while the media explored Couillard’s potential links to organized crime, then the possibility she was also involved in illegal lobbying. In her book, she writes that Bernier avoided taking her calls. “You know [if] you’re with a minister, and you say, ‘You know my ex-boyfriend [did this and that] nah nah nah.’ You don't say that to somebody that you want to be with so, no, no,” he says, over tea. Two weeks after the biker news, Bernier’s chief of staff, Aaron Gairdner, received a phone call from Couillard’s lawyer, saying she had confidential documents she wanted to return to the government. According to a timeline in a Foreign Affairs departmental report, Bernier’s driver was sent to Montreal to pick up the secret envelope, and Gairdner and Bernier discussed his resignation. The next day, he met with Harper and stepped down, just as Couillard prepared to appear on TV to talk about her ex-lover’s carelessness with confidential files. The documents in question were low-sensitivity briefing notes from a NATO summit held earlier in April. After returning from the Bucharest trip, Bernier visited Couillard with the papers marked “secret” in his briefcase. He insists he didn’t take them out. He never noticed they went missing. An internal Foreign Affairs probe was launched. The RCMP also investigated. He says he spoke to a monk every night. He briefly contemplated leaving politics. After five days of near solitude, he decided he’d fight in the next election. Former prime minister Brian Mulroney called and advised him to ignore the barrage of journalists and speak directly to his constituents. A day after appearing at the St-Jean-Baptiste parade and being cheered by throngs of supporters — “‘On t’aime, Maxime! We love you!’” — Bernier broke his silence in a speech to his riding. "When you take a hard shot, what do you do? You roll up your sleeves and get back to work. I cannot promise you that I will be a perfect person, but I think I've learned enough from this ordeal to be a better person," he said at the time. During the election campaign that fall, Bernier was reassured by the enthusiasm at the door. “One man said: ‘Maxime’ — I’ll always remember that — ‘you’ll have the biggest majority. Everybody will vote for you. Because you did a mistake and we can understand that — but don’t do that again.’” He laughs. Re-energized by his win, Bernier thought he’d be returning to Harper’s cabinet and called Mulroney to share the good news. The MP did just that, starting a blog and delivering speeches across Canada. “I really enjoyed that time,” he says. Gourde says Bernier’s cross-country tour was designed to raise his profile in the party. His rallying cry of freedom and more fairness built him a small fan base and he became a popular speaker at the Manning Centre conference, for example. In 2011, Bernier was welcomed again to Harper’s cabinet table, but this time, as a junior minister for small business and tourism. Before the appointment, Masse says, he and Bernier had a chat about whether he should accept a “bad” department or a “boring one” where he wouldn’t be able to do much. "When you take a hard shot, what do you do? You roll up your sleeves and get back to work." Being bound by cabinet solidarity and a ministry with little action wasn’t ideal, Bernier says. But the public didn’t know the difference between a minister of state and a senior minister, he says, so it was important for him to return to the cabinet, win back that credibility, and demonstrate that the scandal was behind him. This is first of three parts of Separatism And Scandal: Maxime Bernier's Unlikely Road To Redemption.